Creative writing is always like an adventure for the ones who create and for the ones who read. And there is no concrete standard for creation. For example, when Petrarch wrote sonnets, initially called the Italian Sonnet and later named as Petrarchan Sonnet, I assume no one ever thought that the pattern would be restructured and new sonnets of different types would be written, like the English or Shakespearan Sonnet. In fact, Shakespeare actually wrote sonnets in a different rhyming style and gave the structure a new dimension. The same thing is true for novels, short stories, songs, and plays. When a new standard has been set by a giant of literature, another giant comes and opens some avenue of light that had never been thought about before. Therefore, the creators find their own adventurous path, through which the reader ventures and startles on each new twist and turn. It is rather a mystery for those who are curious enough to explore. Shabdaguchha loves to welcome the adventurers and has been doing so for the last 15 years. Not only by printing the originals, but also with the translations, the magazine wants to fulfill the desire of the readers of many languages. Along the way, we received the help of many. Some came to wonder and stayed with us and still cruising through the rough turf. Some came to dance with us for a while and left for other adventures. We thank both groups and welcome the new pirates who will come along with us for future sagas, since the journey of creation will never end. 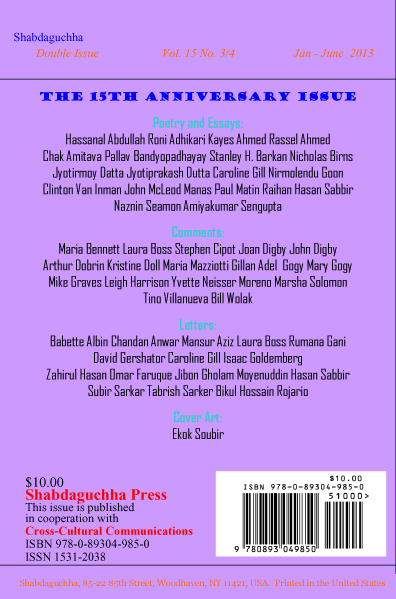 We are celebrating the 15th anniversary of the magazine in a three-day event from August 23 to August 25 at three different locations: Poets House, Manhattan, Queens Central Library, Jamaica, and Casa Barkan, Long Island. I thank in advance the ones involved in organizing these events, the invited poets and writers for participating and the Committee for celebrating the anniversary. 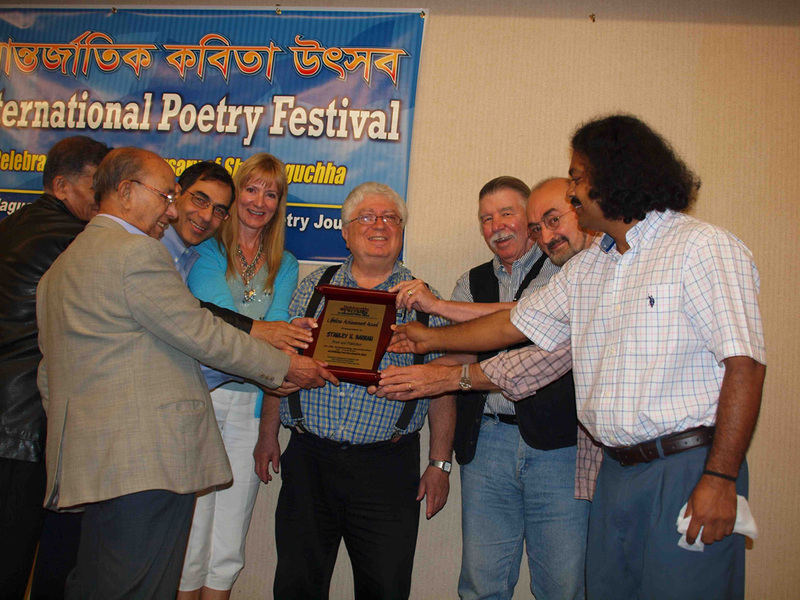 Also, I want to express thanks to our friends, readers, and well wishers from different parts of the world.